Are you game to be involved in set, lighting, sound, publicity, front-of-house, ticket sales, etc., for the August production of On Golden Pond? If so, please come to the Williamsville Hall to meet with director Cris Parker-Jennings. If you can come for only part of that slot, no worries: We’ll be happy to see you! Rock River Players announces upcoming auditions for “A Piece of My Heart” September 8 at 4pm, 9 at 6pm, 10 at 11am, and 11 at 1pm at the Williamsville Hall in Williamsville, Vermont. Performances will be the last weekend in October. Auditions will be reading from the script. 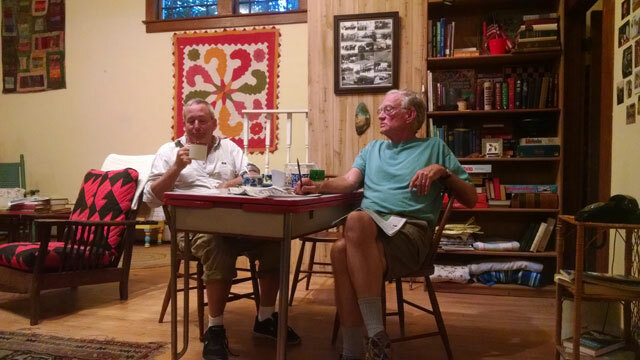 WILLIAMSVILLE – The Rock River Players’ [RRP] summer season features two events at the Williamsville Hall on Dover Road in Williamsville.